Your donation will help the AOS Foundation and Arizona Lions sustain the AMEU. Thank you for your kind donation and your interest in the AOS Foundation. Please Join Us October 13, 2018!!! To our amazing friends of the AOS foundation! This celebration deserves a more intimate home environment to allow a relaxed and fun event for all. 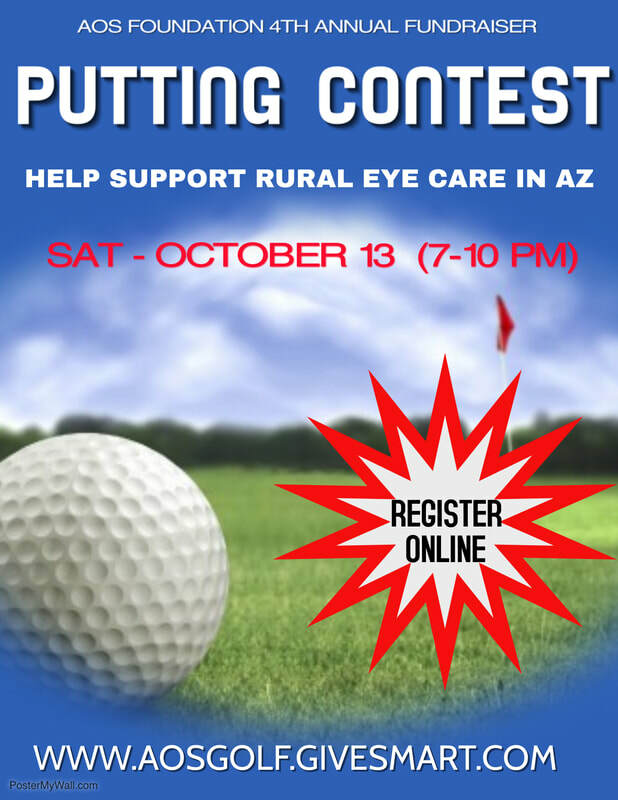 We are featuring a putting contest that both golfers and non-golfers can enjoy. We also created the pinball wizard, bank shot billiard and video poker events to challenge and amuse. This makes it even easier for those that wish to support the AOSF but cannot attend. Please remember that every donated dollar goes directly to the program. Your early response before the Oct 7th opening of the bidding/raffle is appreciated. You can help us by attending our event, with direct contributions through the website and by spreading the word about our event to family/friends. Please let them how our program benefits an unmet need in rural Arizona. We are a 501c3 component of the Arizona Community Foundation. Thank you for your caring, your contributions and your time. Best wishes for winning any of our fantastic prizes!